My research interests are in the general area of data management and distributed systems with a recent focus on using machine learning techniques for data management problems, such as query optimization, data exploration, query performance prediction and resource provisioning and workload management on cloud-based systems. 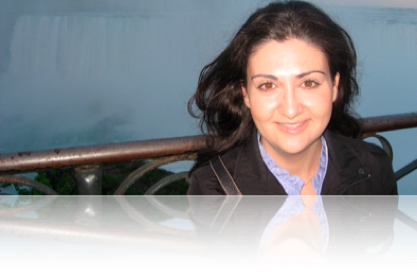 Olga Papaemmanouil is an Associate Professor in the Department of Computer Science at Brandeis University. She received her undergraduate degree in Computer Science and Informatics at the University of Patras, Greece in 1999. In 2001, she received her Sc.M. in Information Systems at the University of Economics and Business, Athens, Greece. She then joined the Computer Science Department at Brown University, where she completed her Ph.D in Computer Science at Brown University in 2008. Her research interests are in databases and distributed data management with a recent focus on applying machine learning techniques to solve traditional data management problems. She is the recipient of an Amazon Research Award (2019), two Huawei Innovation Research Awards (2018, 2017), an NSF Career Award (2013), a Best Demonstration Award (SIGMOD 2015), a Paris Kanellakis Fellowship (2002) and multiple NSF grants.